When people think of challenges, they often relate to physical challenges. It is true that we mortals are challenged on the physical, emotional, and mental levels. However, most people do not realize they are also challenged on a spiritual level. The challenge on the spiritual level often occurs when our understanding about the matters of God is being challenged. Most challenges such as these involve confronting attitudes about issues regarding our religious beliefs, our worldview about life, and our traditional practices. 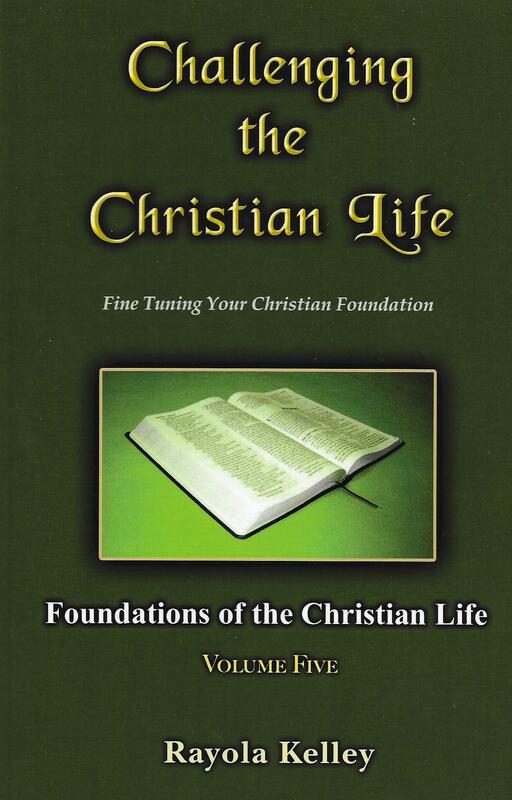 Challenging the Christian Life is the fifth volume in the Christian Life Foundation Series. Each book in this volume is capable of challenging traditional or doctrinally-held concepts about spiritual subjects. 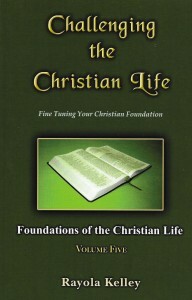 The first book in this volume, The Issues of Life, confronts the different attitudes that people adopt about God and life. The second book, Presentation of the Gospel, unveils the many wrong attitudes and false gospels that people have embraced in relationship with the true Gospel of Jesus Christ as presented in Scripture. The third book, For the Purpose of Edification, deals with the subject of edification in light of the positions established in the Church in relationship to the gifts of grace, and in lieu of all the misunderstandings, abuses, and ignorance concerning the gifts of the Holy Spirit. In the fourth book, Whatever Happened to the Church?, the author reveals the reasons the identity crises the Church of Jesus Christ is suffering. Not only does she deal with the makeup of the Church, but the history of why it strayed from the Creator’s purpose and high calling. The fifth and final book in this volume, Women’s Place in the Kingdom of God, confronts the controversy surrounding the place women have in the kingdom of God. It not only addresses attitudes but will put Scriptures that surround this issue in proper perspective. Each book contains the potential for challenging people’s traditional or assumed understanding of these matters, as well as outlining how such understandings will create destructive attitudes. This volume has the potential for creating a “wrestling match” within souls, while offering the liberating truth that will set the spirit fee to discover the rich depths of God’s unchanging character and truth in light of the life He is offering, the powerful Gospel that is able to save, the incredible work and order of edification, the revelation of a Church that hell can by no means prevail against, and His ability to use what is often considered base and insignificant to bring Him glory.